She was content to be in the fellowship of believers but believed she was too old to fulfill a purpose. What a sad place to be! Yet, I meet women like her every day. Older, mature believers who love God deeply, but think they have nothing useful to offer in service to the Lord. I totally disagree with her because I met someone like her in my younger believing days that totally changed my life. She was about twenty years older and had lived a life with challenges similar to those I was facing at that stage of my life. She opened up to me and shared with me how God helped her overcome her struggles, gave her strength to face the darkest times in her life and how she was totally convinced that God heard our prayers, no matter how desperate. Her presence in my life encouraged me because she had walked the journey I was still walking. Her years of faith gave me courage. Convinced me, God could be counted on. Older believers have a role to play in encouraging younger believers and time and grey hair qualifies them to be an encouragement. An older woman who comforts you through a tough time where she came through victorious, is much more powerful than all the counselors and life coaches in the world, because she knows Who she has believed and trusted. 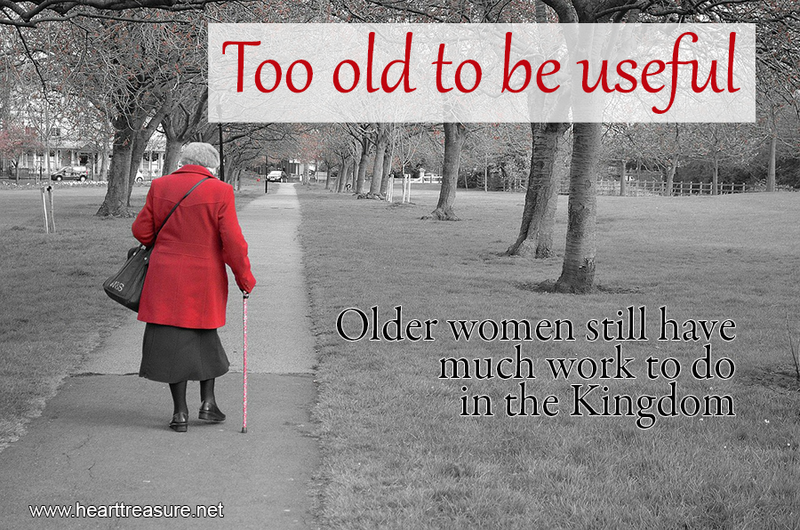 Older women still have much work to do in the Kingdom because in truth; no one quite gets a woman like other women. A Case for Woman and Women, not Men. 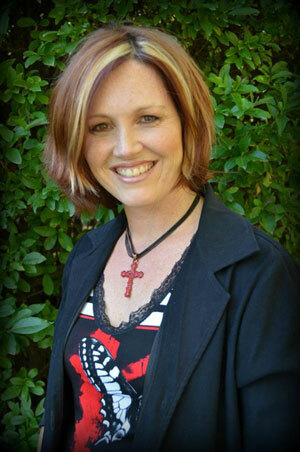 Michelle du Toit lives in Johannesburg, South Africa. She is married to Adrian, with two children. She is passionate about God and influencing people. She shares her own personal treasures from the bible for encouragement to others.